CINCINNATI -- After more than 15 months and roughly $16 million, an old cracker bakery on West 12th Street is ready to start its new life as The Strietmann Center . 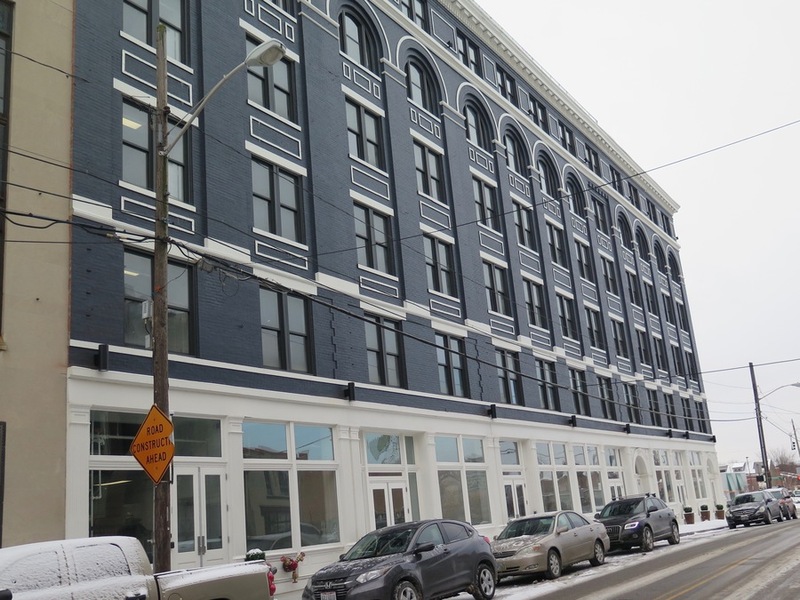 The seven-story property encompasses 88,000 square feet of leasable space and nearly a full city block of historic Over-the-Rhine. Grandin Properties , the project’s developer, expects to market most of that to office tenants. But there will be space on the ground floor for restaurant and retail operations, too, said Kathy Meier, Grandin Properties’ project manager for The Strietmann Center. WCPO and 9 On Your Side began reporting on the restoration project in January 2017 to give the public a better idea of what it takes to bring a historic property back to life. The hulking structure has come a long way over the past year, and Meier said Grandin hopes to see its first businesses move in during the coming months. The Strietmann has a new roof, new heating, cooling, plumbing, electric and sprinkler systems along with new elevators and solar panels. The restoration is in keeping with national historic guidelines, Back added. It will be LEED certified at least at the silver level and could possibly qualify for LEED gold certification because of its environmentally friendly systems and the careful way it was renovated, Meier said. 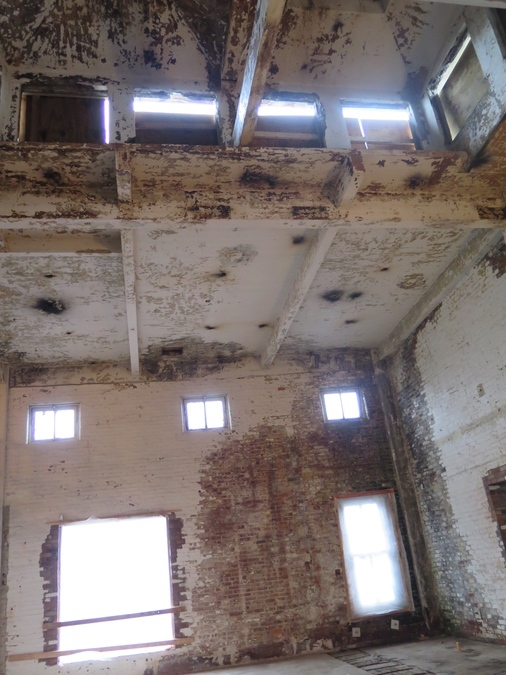 A tour of the building earlier this month showed big changes from every angle of the project. But nowhere was the change more dramatic than the center’s seventh floor, also known as The Penthaus. This is what the seventh floor looked like in January 2017. 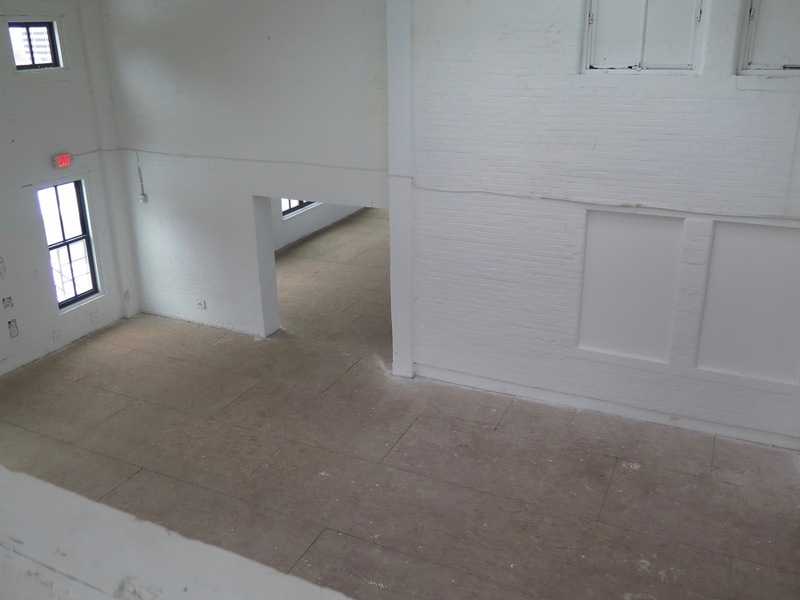 This is what the space looks like now. The floor has 3,022 square feet of open space along with meeting rooms, a kitchen area and a rooftop terrace with views of the city. 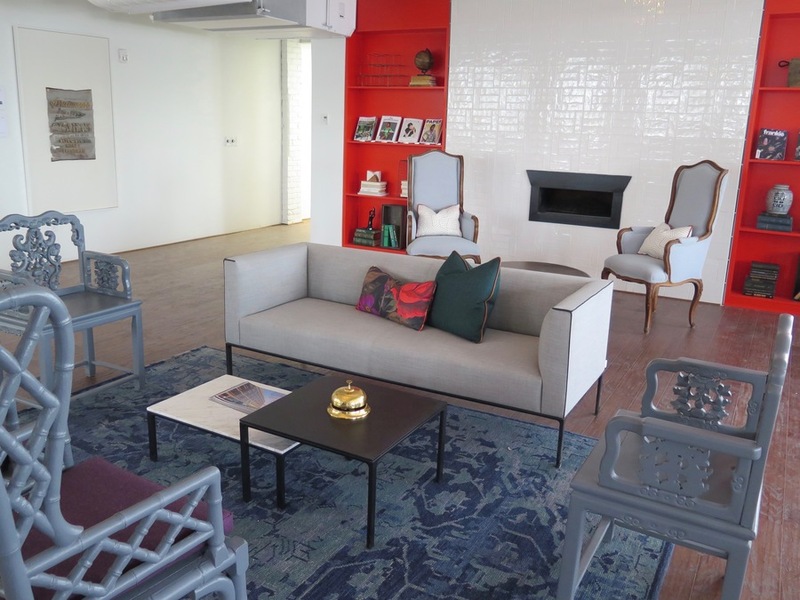 The red accents are inspired by the signature color of Zesta crackers, which were originally a Strietmann product, said Aubrie Welsh of Aubrie Welsh Interiors, who is the project’s interior designer. Another view of the Penthaus. That “bold optimism” was the concept behind the colors and furnishings that fill The Penthaus, Welsh said. Original artifacts also hang on the walls, including a big, wooden spatula, a calendar distributed as a gift when the building opened in 1899 and a framed copy of the company’s original Code of Ethics. 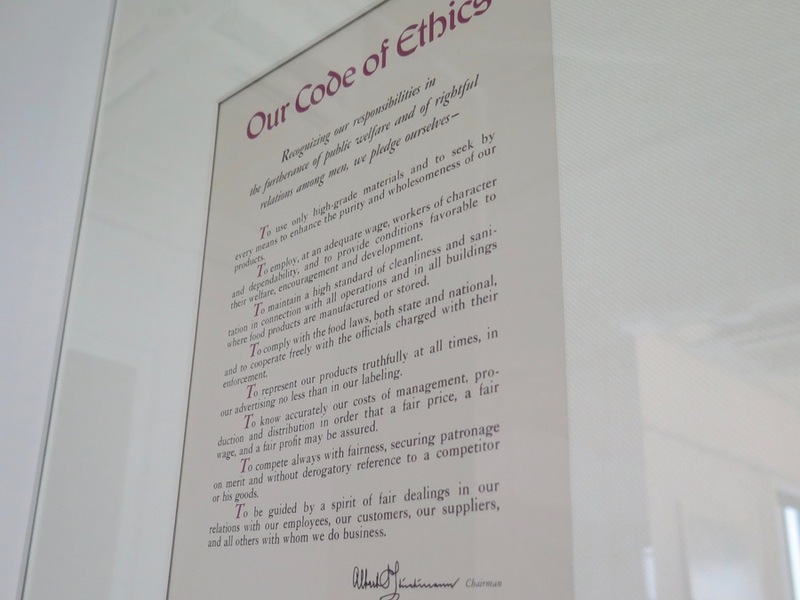 The framed Code of Ethics. The fifth and sixth floors won’t be completed until tenants lease the space and make final decisions about how it gets finished. But significant changes are apparent. This is what the fifth floor looked like in January 2017. Skylights are fixed. As required by historic guidelines, any walls that had been painted got repainted. And any walls that had been exposed brick remain that way, Meier said. 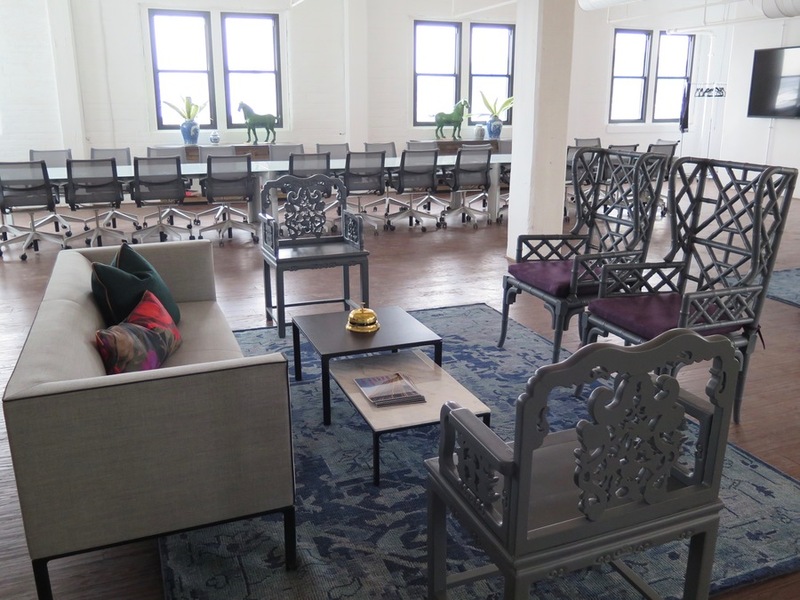 The sixth floor has a separate outdoor patio and a mezzanine space with a view below into the fifth floor. This is the view into the fifth floor a year later. 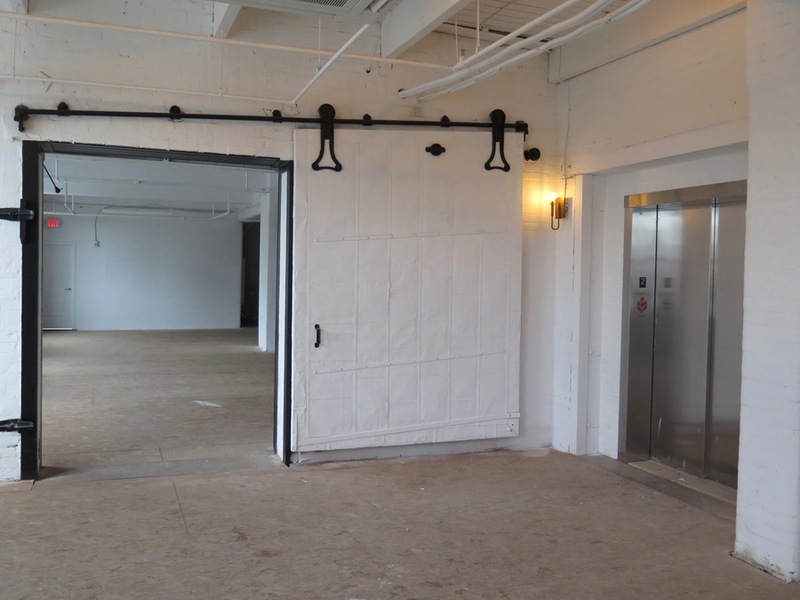 Large, sliding metal doors located on the lower floors have been cleaned and painted. But building inspectors required them to be fastened in place so they could not close and create a fire hazard, said Jeff Lehkamp of HGC Construction, a superintendent for the project. Here's what one of the doors looked like on the fourth floor in January 2017. The "after" picture shows the contrast. The doors remain in January 2018 but are cleaned up and no longer move. This one is on the second floor. 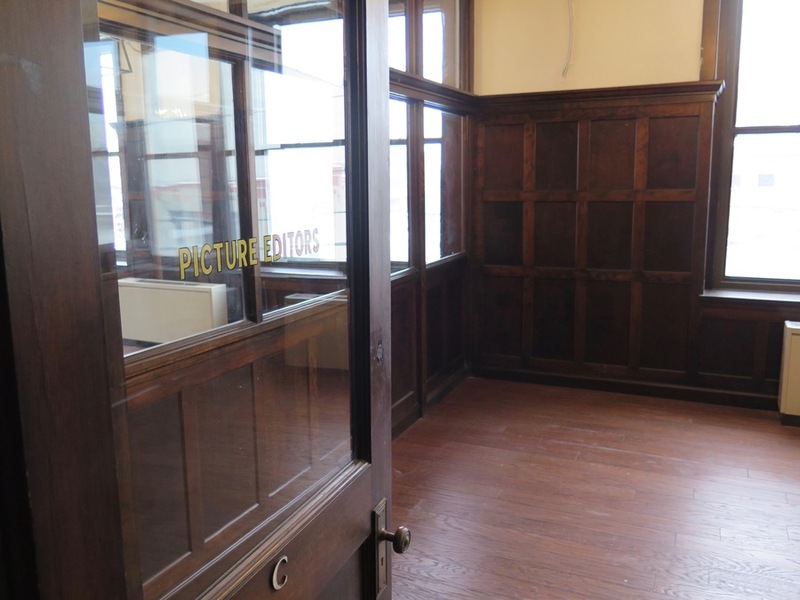 Grandin Properties preserved the bakery’s original executive offices, which doubled as newspaper offices during the filming of the movie “Carol” in 2015. The executive offices in January 2017. The executive offices a year later. 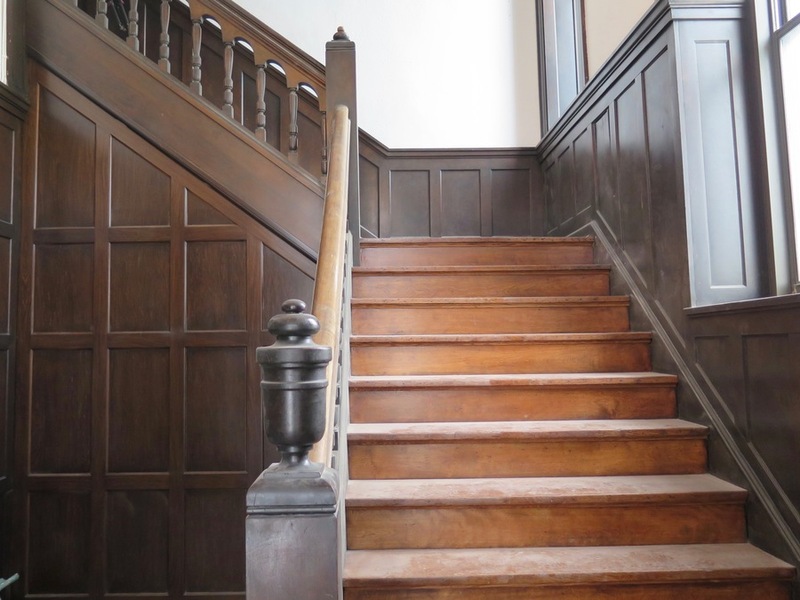 Contractors also preserved and repaired the grand staircase leading up to the historic bakery offices. The staircase to the executive offices in January 2017. Now that staircase serves as a private entrance from the street. The restored staircase a year later. The building has new entrances for the street-level restaurant and retail space, too. This space, where Grandin hopes a restaurant will be located, has a street-level entrance. 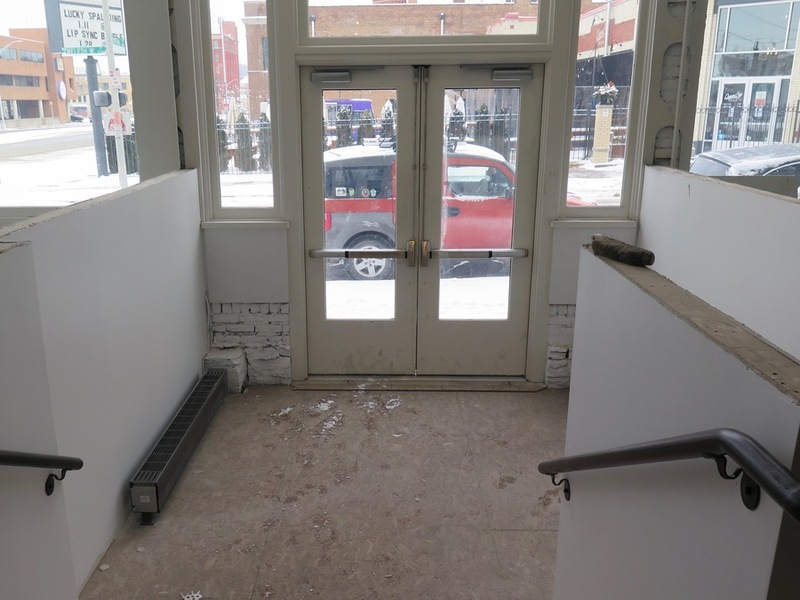 And while that space is much tidier than it was a year ago, it still would take several months before a restaurant could be operational there, Meier said. The first floor has come a long way since this photo was taken in January 2017. The Strietmann Center still needs a bit more polishing before it's the gem that Grandin Properties knows it can be, Meier said. But it has come a long way from the time the developer bought it, when it was filled with old furniture and trash and animal droppings. Back said he’s pleased to have been a part of the team that has brought the massive structure back into productive use. The exterior of The Strietmann Center in January 2018. More information about The Strietmann Center is available online .